This tour with wonderful people made my day!! The previous Friday I was lucky to meet four extraordinary people and tour with them around the battlefields of Chania. These two couples from Australia and New Zealand made my day!! We started from the area of Maleme, as usual and we spent more than 1.5 hour on the hill 107, right above the airfield of Maleme, where the German war cemetery locates today. Among the 4465 German soldiers’ tombs we analyzed the facts and the situation in Greece before 1939 and WWII. It was an interesting discussion and then we were talking about the Greek-Italian war, the German invasion in Greece and finally the Battle of Crete. Our next stop was the bridge of Tavronitis, just 10 minutes away from the hill, where I told them everything about the brave Cretan partisans who joined the allied forces and fought against the new enemy of our island. 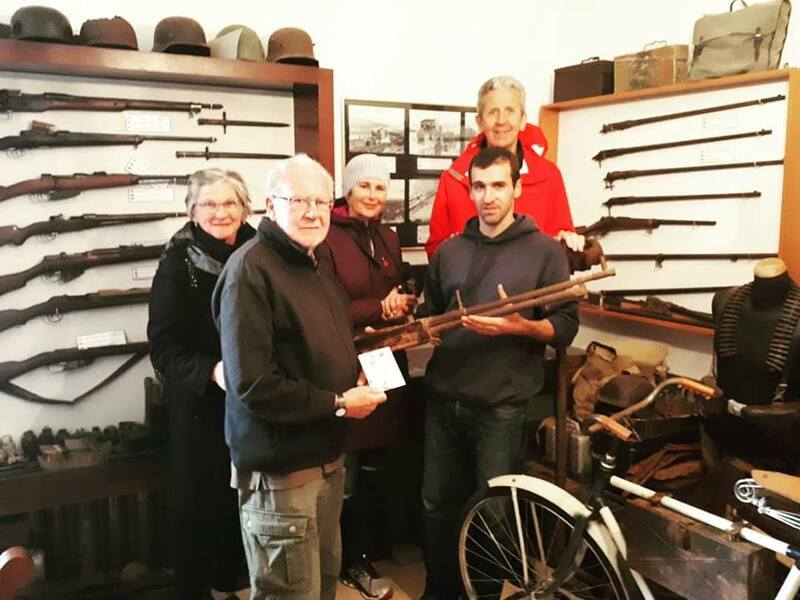 It was amazing that Mrs Jane from Brisbane Australia, almost cried when I was explaining the stories of my ancestors and the feelings that made the Cretan civilians pick up their weapons to fight. We left form Tavronitis and we drove east to the hills of Galatas. There we visited the private collection of my friend Stelios. He was very happy to guide my new friends and show them a lot of objects, relics from the battle of Crete. Spending more than one hour there, our friends found it very interesting. After Galatas and the prison valley we arrived to Tsikalaria and the 42nd street’s ANZAC Memorial. 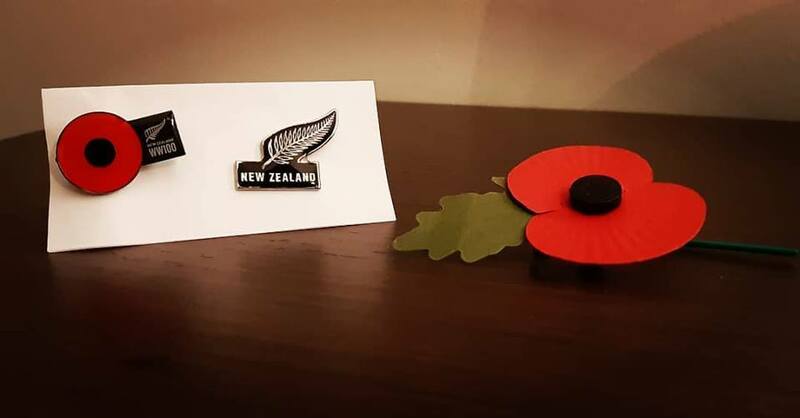 Mrs Stevenson from Auckland NZ, left a poppy in memory of these soldiers who gave their lives there. Our last stop was in Souda bay and the Allied war cemetery. I was amazed when Mr & Mrs Stevenson wanted to find the grave of one of their friends’ father. The private D.C. Perkins had visitors and a new poppy was decorating now the marble. After the last part of my guiding, all of them told me that the tour was well organized and very informative! The tour was right before the flight of Mr & Mrs Parker so we drove them to the airport. While we were returning to Chania I was curious about Mrs Stevenson’s buckles. I’m collecting buckles so I asked her where I can find buckles like these (one was an anniversary one for 100 year from the end of WWI). Then she told me “Which one you like?”. I replied “Both” and she told me laughing “I’ll get you the details”. As soon as we arrived in Chania, it was time to say goodbye to these lovely people! I was ready to farewell when Mrs Stevenson told me: “Open your hand”. She was so kind to give me her buckles as a gift and thank me about my services! I immediately hugged and thanked her from the bottom of my heart!! I felt so emotional and we gave our promises to see each other again soon!